The Greek myth of Odysseus has always been a favorite of mine. 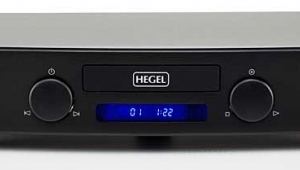 For an audiophile looking for a CD transcription system under $2500, it seems to be an especially appropriate metaphor. Almost all the units I've heard since CD's inception fall into one of two camps: the Sirens or the Rocks. For those of you not up on your Greek mythology, the Sirens were the archetypal seductresses whose sweet songs lured sailors to drive their ships upon the rocks. Siren CD players are those that soften and sweeten the sound. Their primary purpose is to seduce, to give a false sense of comfort to their victims; their fidelity to the truth is secondary to their desire to elicit a positive emotional reaction. These players' colorations are subtractive in terms of resolution and musical information, additive in terms of first- and second-order harmonics; this gives them a richer, more euphonic character. 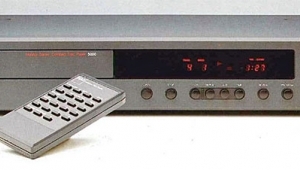 I've recently heard two units that fall into the Siren category: the CAL Sigma/Delta combination and the Rotel RCD-965BX Signature player. 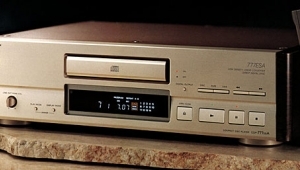 The Rocks of CD players are like rocks anywherehard, firm, matter-of-fact, truthful in their "rockness." They do nothing to romanticize music; if anything, CD Rocks tend to crystallize thingsdynamic peaks are "hard" and often have only one "perfect" volume level in a particular system. Music sounds quiet and lifeless if played at levels lower than this ideal, and when played louder, music gets as hard as...rocks. Needless to say, these are machines that seem to tell the "truth," and we all know the truth is often not pretty. The problem with Rocks is that their "truth" fails to touch our souls. These cerebral devices seem to give us all the musical information, but fail to move us because somehow, in the drive for the god-like perfection of Greek statuary, the music's poetry and charm have been buffed off. 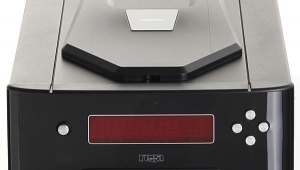 The Kinergetics KCD-40 is a good example of a clean, mean, matter-of-fact Rock machine. Where does all this leave us sailors? Far from home on choppy seasSirens on one side, Rocks on the otherunable to throw enough money overboard to power out of trouble by purchasing a megabuck transport/D/A system. Suddenly a lifeboat, sent by some Deus ex machina in charge of saving drowning audiophiles, appearsthe SOTA Vanguard CD player. Until now, I've been less than taken with the CD format (a subtle understatement). Early machines sounded too nasty for me to stay in a room with them for more than 15 seconds. In fact, early digital sounded so nasty that a physics and mathematics professor at a college in Massachusetts, Judith Reilly, came up with wild hypotheses about how the rest of your components could be immutably polluted by a scant few seconds of digitally derived music passing through them (footnote 1). Meanwhile, the hear-no-evil, see-no-evil mainstream audio press heralded CDs as "perfect sound forever." But even these flat-earthers now admit that the new generation of CD players do indeed sound better than the first-generation units. A cynic can't help but wonder if such revisionism is more a case of financial expediency than of seeing (or hearing) the light (footnote 2). Perfect things need no replacement; flawed things must be replaced as soon as possible. How fortunate for CD-player manufacturers. 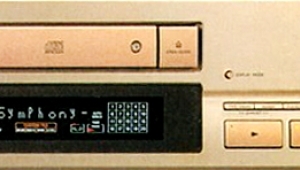 The SOTA Vanguard II CD player is a Bitstream design based on a Philips chassis (footnote 3), with its printed-circuit board marked, and presumably manufactured by, Siltech. 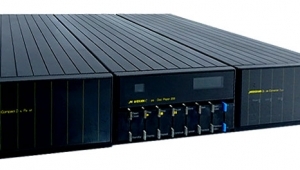 It differs from conventional Bitstream machines in several respects, including the digital section, which features two Bitstream D/A converters (one for each channel); and its differential or balanced output circuitry is DC-coupled throughout the analog section. 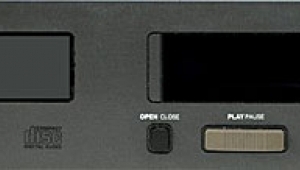 The Vanguard also uses separate power transformers for its digital and analog sections, with a toroidal transformer for the dual-mono analog section. The analog section is powered as long as the machine is plugged into the wall. The Vanguard has all the standard programming features: favorite-track selection (for those who insist on listening to Frank Zappa reissues) and random play (for Geezer-rock fans tired of listening to Tommy in the right order). It also features provisions for an external line-input device (like a tuner or tape-deck), and variable and fixed outputs. (With variable output you could use the Vanguard without a preamp, but I don't recommend this: the variable output sounds far worse than the direct.) The Vanguard also has optical, coaxial, and RCA digital outputs for that inevitable time when you must get an outboard D/A. The SOTA also sports a headphone jack with its own variable output op-amp, for when you're compelled to listen to Hendrix's Are You Experienced? at two in the morning at ear-bleeding levels. Nelson's is obviously not a very musical system. 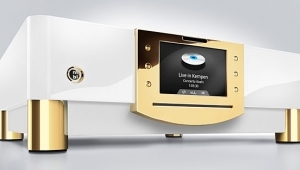 But what is the goal of a high-end system? Is it supposed to get you as close to the music as possible without imposing much of its own character? Or is it supposed to make music sound like music? I've never heard a system that can do both. 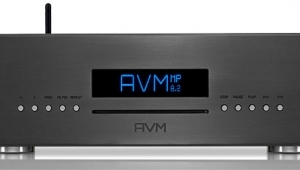 If you have heard a system that was mercilessly revealing and musically satisfying, were you listening to music you really enjoyed, or just audiophile standards? I love Sam and Dave, but listening to "Hold On, I'm Comin' " through Jeff Nelson's system will kill your cat. 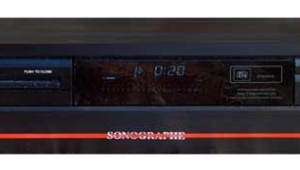 The point is that, at some time, each audiophile and manufacturer has to make a choice of whether to opt for the euphonic or for the mercilessly accurate. Do you like your music straight up, no chaser, or do you go in for a bit of sweetening? When forced to make this choice (I'm forced to make it almost every day), I usually opt for a bit of euphony, thank you. I like too many different kinds of musicmuch of which was recorded at substantially below audiophile standardsto subject myself to a system like Jeff Nelson's without judicious use of an equalizer (or liberal use of soporifics) to render it palatable. 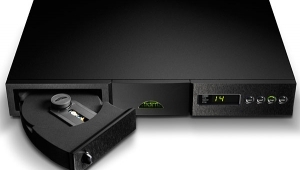 The SOTA Vanguard is one manufacturer's attempt to solve this audiophile conundrum of having one's cake and eating it too. Neither Siren nor Rock, it tries to walk the line between being an overly soft, "musical" player and a hard, "matter-of-fact" player. Still, it's far from a neutral deviceits colorations are additive in some areas, subtractive in others. How can an attempt to reconcile two diametrically opposed goals be successful? This kind of Hegelian logic (footnote 4) may work well in the context of cultural sociology, but it's devilishly difficult to apply to an audio dichotomy. Neutrality? Yeah, right. The SOTA Vanguard represents not neutrality, but a set of compromises that will pass for neutral to some ears. First, spectral balance: The Vanguard's bass was a wee bit warmnot sluggish, but a bit thick in the midbass. Low-bass extension was slightly less than adequate, and the midbass emphasis tended to obscure the low bass. The midrange was pretty good, perhaps just a hair thin, but not noticeably objectionable. Lower treble was a bit restrained, not reticent or recessed, but not the kind of sound that jumps out at you. Upper treble was sweet without being syrupy, with good extension and sense of air. Footnote 2: At the 1993 Chicago CES, John Atkinson told me of John Curl's three steps to historical revisionism: 1) Your opinion has no validity whatsoever and is totally and irrevocably wrong; 2) Your opinion may have some merit, but it is merely speculation with no basis in fact; 3) Your opinion is absolutely correct, but I actually thought of it first. Footnote 3: This fact becomes obvious if you try using any other Philips-based remote control on another Philips-based machine within rangeit will operate the SOTA. This is inconvenient if you plan to compare the SOTA to another Philips-based machinepush Pause and they both pause, push Play and they both play, etc. Footnote 4: Hegelian logic absurdly simplified: thesis (original concept) and antithesis (opposite concept) are combined to form synthesis. 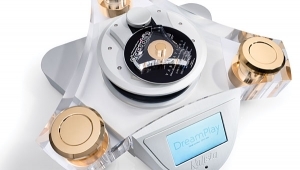 Years ago when I lived in Montreal, a dealer who I used to buy products from time to time showed me the SOTA player, and said it was absolutely fabulous sounding at this price. I was sceptical, how a company that made great turntables could all of a sudden come up with this player, did they build it in house? Outsourced their components? 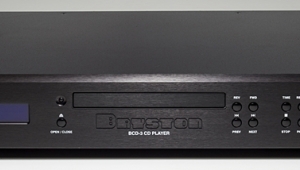 Then I read this review in the 90's and confirmed my fears that it was simply an attempt to gain a foothold in the burgeoning CD player market - I purchased something else. The dealer whom I had known for over 15 years and had a relationship with never spoke to me again, and till this day if I ever make my way to Salon H-Fi et Image still ignores me, if he sees me. I thanked Stereophile then and thank them now for confirming my fears and saving me lots of $$$ on a less than stellar player. The first is the sheer price distinctions from then (1995) to today. In fact, commencing in/around 2005 -prices began to skyrocket. 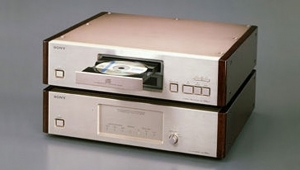 Secondly, it's also very telling (of the times I suppose) that 'after-market' accessories were used in the evaluation of a product, that by all rights should have been positioned/evaluated on a solid hi-fi rack -sans "pucks", sorbothane feet and similar. It should be obvious today that these "changes/tweaks" influence SQ considerably.
" .. Other accessories included RoomTunes CornerTunes, EchoTunes, and Ceiling Clouds; ASC Tube Traps; RoomTunes Just-a-Rack; Arcici Superstructure IIs; Audiostream equipment rack; CWD equipment cabinet; Bright Star Big Foot and Little Rock (for CD player); Sorbothane pucks (for amplifiers); Target speaker stands (for amplifiers); Fluxbuster; Shun Mook wooden pucks; The Original Cable Jacket wraps; Music and Sound ferrite beads; AudioQuest ferrite clamps; Chang Audio Lightspeed model CLS 6400 ISO power-line filter ..."
all of these 'accessories' are almost laughable by today's standards, and in any case should never have been used with/when a product was under evaluation -or used in addition to straight wall-power and component's factory footers along with detailed listening distinctions between the two. So many "reviews" in the past, fatally flawed -on so many counts. Ouch. And finally: " ...The dealer whom I had known for over 15 years and had a relationship with never spoke to me again, ..."
To be honest, he lost out on my potential purchases as I grew older and was able to afford more $$ gear. But I also lost out as well because that was another avenue for me make purchases. I no longer live in the city so it is no longer an issue. But it was an eye opener for me and the type of personality he was. volvic: You say it 'right' ! By your remarks, it appears you were a younger guy at the time (regardless of age -it should not matter) and the chap appears to be management/owner ? Again, regardless, we should all have time (not inordinate amounts, but) to discuss equipment/sound with ALL listener's and interests. What strikes me is why you felt you couldn't return (to the store)? Perhaps chat with someone else ? Yet, for some, it feels uncomfortable if unwelcome. The "error" here falls square on the store staff -there's always ways to discuss what (if any) the issues are. It's called communication, and for merchants with poor communication skill, it's a surprise the store remained in business over those years. As you say, it certainly does reflect one's personality. Yes, I was younger but not that much younger, in my very early 30's. I found another store that gave me fantastic service and they were Linn dealers which in the 90's was a great love. Still is to a degree but less. I could have gone back to the store he has other employees, but I don't believe you should reward bad behaviour with hard earned cash. Still, he had great gear, and now sells even more amazing gear, but I believe you take a stand and move on. What happened to LINEARITY plots. We used to see linearity plots (as shown in Fig.5) above. But these seem to have been discontinued. I do note that JA still MENTIONS linearity in Measurements section ... but no plot. P.S. I always find linearity plots useful. I realize that most Delta-Sigma DACs today have excellent linearity (compared to old-school multi-bit DACs). 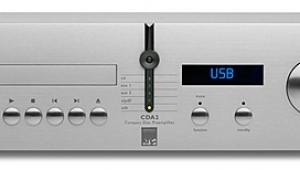 But multi-bits seem to be coming back (TotalDAC, Schiit, various NOS and discrete DACs, etc). 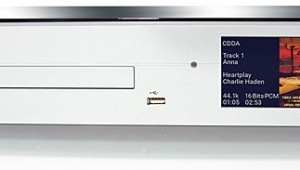 What, exactly, is a "CD Transcription System"? Googling the phrase yields no results. Is this a new entry in the Audiophile Dictionary/Thesaurus? It is phrases like this that make me cringe when reading reviews. I hate to admit to my friends that I'm an audiophile because of this misuse of language. Edit... Sorry I didn't notice the 1995 publication date. I guess "CD Transcription System" didn't stick? I can remember reading this original 1995 article and wanting to hear this cd player. Magazine editor: Attempt to make clear a reprint -and at the very least afford the original review date in bold font. For indeed, if one missed the 'secondary' date (original review), one could continue not entirely certain whether it is current -or a reprint.